Enrique was born on the 6th of December 1966 in Göttingen, Germany. His father was a German, his mother is from Chile. With the age of 7, he began to take his first instrumental lessons – at first the accordeon, later the piano. He was interested in playing the drums and the guitar as well. Later he studied at the university of Dortmund, took lessons for the jazz piano with Julius Styczinski (Iserlohn) and in arrangement with Betin Günes (Cologne). For years, he played in different jazz, pop and rock bands, accompanied the female soul singer Barbara Johnson from New York and arranged music for movies about the Miniatur Wunderland in Hamburg, various childrens musicals, video projections for World of Lights or Thyssen Krupp, the pop singer Bülent Ay. The chillout album “Park Lounge” was released by Universal. 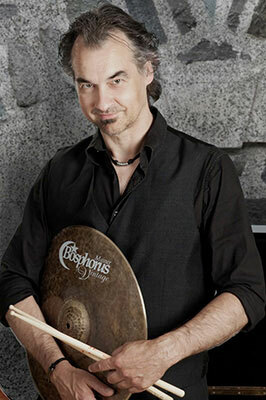 Benny Mokross completed two master classes for percussion with Pierre Favre and a Jazz Degree at the Folkwanghochschule in Essen (1988 – 1992). Since 1998, Benny Mokross was responsible for the Percussion Department as a lecturer at the Glen-Buschmann-Jazzakademie and holds Percussion Lectures at the Technische Universität in Dortmund. Concert tours with various bands brought him to England, Scotland, France, the Netherlands, Belgium, Italy, Israel, Belarus and the CIS countries. He contributed to radio and TV productions for WDR, BR, Deutschlandfunk, Deutsche Welle, TRT International, BBC, RTL, RMK, NBC-Giga and others. As a drummer/percussionist for concerts/CD productions, Benny Mokross has worked with many well-known artists and interpreters such as Bescay, Jasper van´t Hof, Nippy Noya, Gerd Dudek, Cecyl “Mc Kenzie” Payne, Toots Tielemanns, Richard Ross, Roy Williams, Gene “Mighty Flea” Connors, Valery Scott, Laureen Newton, Beverly Daly, Avo Uvezian, Gunnar Plümer, Ramesh Shotham, Paramashivam Pilai, Embryo, Selim Sesler, Peter Materna, Patricia Kelly, Silvia Droste and many more. Music has been the passion of Klaus Samusch (born in 1964) since he was 7 years old. After 4 years of playing the piano, he went on to the French horn which he studied for 10 intensive years. The latter got him various first places at “Jugend musiziert” all the way to national competitions. 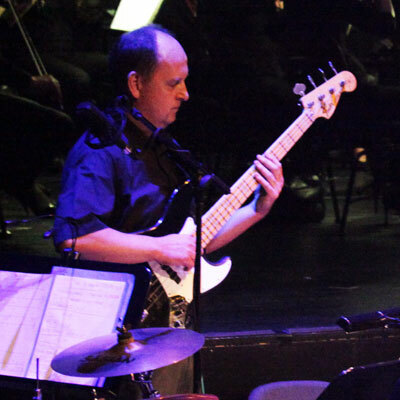 At the age of 16, his interest in jazz made him study the e-bass with which he had an early success with his first place in the category “Jazz Combos” at “Jugend jazzt” as well. After this, the bass became his main instrument. Later, he started using the double bass as well. Today, he is still active in various Jazz Projects with both instruments. 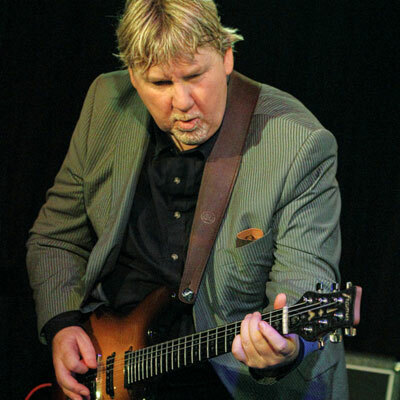 The German musician Dirk Edelhoff from Iserlohn (North Rhine-Westphalia) is a pop, rock and jazz guitarrist. In 1980 and 1981, he received two first prizes at “Landeswettbewerb Jugend jazzt” in North Rhine-Westphalia. Dirk Edeloff took guitar lessons with Eddy Marron, lecturer at the Musikhochschule Cologne for the jazz guitar and completed the “Vorberufliche Fachausbildung für Musik (VFA)” at the Musikschule Dortmund. Between 1983 and 1985, he participated in jazz seminars of the Remscheid academy. 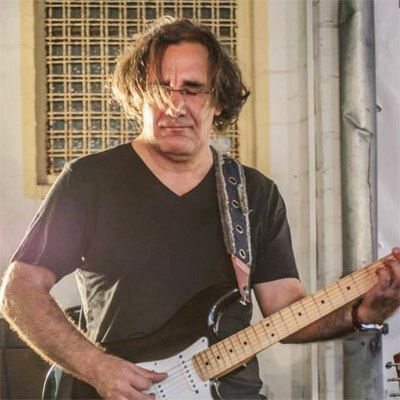 Since 1986, Dirk Edelhoff has been working as a freelance musician and worked as studio guitarrist for various recording studios and music productions. In 1992, he worked as a lecturer for the e-guitar at the Münchner Gitarren Institut (MGI) in Cologne. In 2001, he published the column Guitar Techniques in the music magazine Gitarre & Bass. We also worked for Epitaph, Soulfingers and many more. After Günter Holtmann assembled the band for the youth stage play “Das hältse ja im kopp nich aus“ for the theatre Dortmund, he determined that he had enough skills as a passable stage performer. Composition offers for the Jugendtheater Dortmund and for WDR followed. He then declined the offer to work as muscial directer for the children and youth theatre in favour of a nationwide tour with his folk band COCHISE. 15 years of studio work and tours in differend bands and as a guest in various musical productions followed. 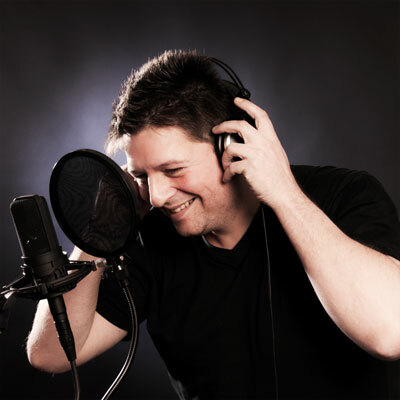 Since the 1990s, he mainly worked with as audio technician for opera, ballet and muscial and was a lecturer for audio technology at the vocational training school in Essen. He was a part of Phillip Boa And The Voodoo Club, COCHISE, Nino de Angelo. Professional musician with more than 40 years of stage experience. 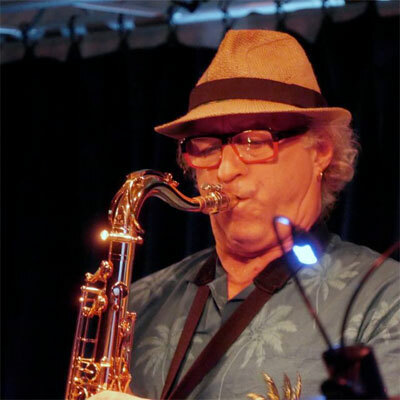 Martin is Dortmunder Ancient, he plays the saxophone and steel drum and is always on tour with various bands. Amongst others, he worked with the Glen Buschmann Trio, Coochise, Bäng Bäng Steeldrum Orchester and What Ever Works.